When is Technology Smart, and When is it an Unfair Advantage? Markus Rehm, a long jumper from Göppingen was left off the German national team being sent to the IAAF World Track and Field Championships, despite the fact that his jump is the longest by a German this year. The reason? 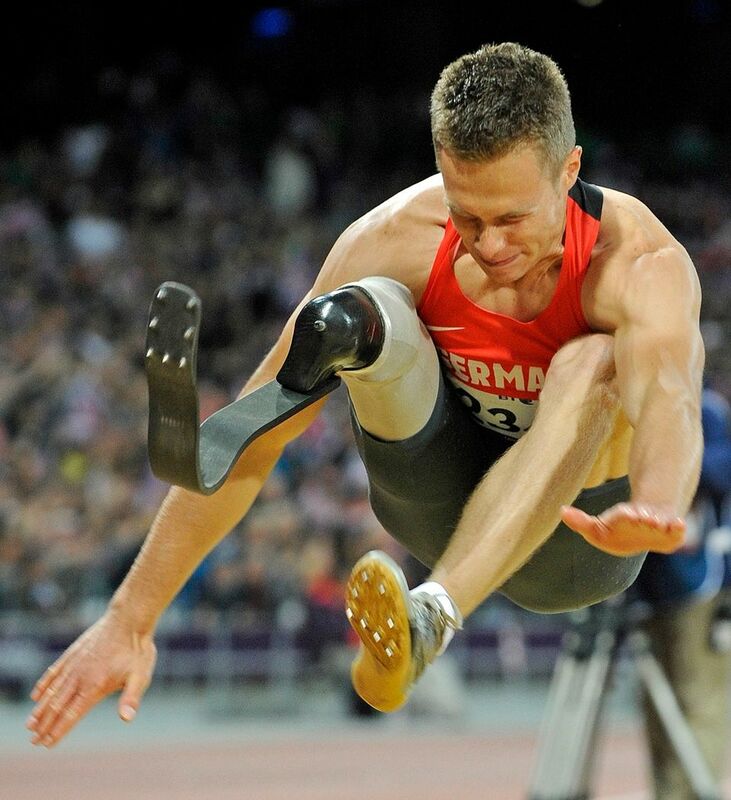 His right leg is a prosthetic limb, and the German Track and Field Federation “has used biometric studies to rule that his carbon-fiber prosthesis gives him an unfair advantage,” according to the Associated Press. And so goes the cat-and-mouse chase between advances in technology and the authorities in charge of creating an even playing field. In the 1960s, rigid steel poles gave way to carbon-fiber poles. While the pole vault leap increased during Olympic competition from 4.56 in 1956 to 4.70 in 1960, it lept to 5.10 in 1964 and again to 5.4o in 1968. First movers in the technology had the advantage. When the full-body swimming suits were all the rage, and over 100 world records were broken in an 18-month period in 2008 and 2009, FINA, the international swimming federation, decided to ban certain suits made of polyurethane, according to this New York Times article. And now, track and field organizations are trying to figure out when the artificial limbs on athletes are creating an advantage or not. There are likely to be fine lines, and difficult choices as the technology improves. Will a runner with an artificial arm be allowed to compete with full-body athletes? And for that matter, can’t we say eyeglasses or contact lenses for riflemen or archers are a competitive advantage versus those who do not need them? Go to this link to see fascinating video of Rehm and his jumps. Posted in Technology and tagged full-body swimsuits, long jump, Markus Rehm, pole vaulting, prosthetics, technology. Bookmark the permalink. We need to compare “apples to apples”. Upgraded poles, swimsuits, eye wear, etc are available to any world class athlete. Acquiring a prosthesis just to enhance a performance is unlikely.